Mexican firm Harari Landscape Architecture has created LA PASTORA Linear Park as part of an environmental compensation project agreed between the BBVA soccer stadium in Guadalupe Monterrey and the state government of Nuevo León. An urban forest park that covers more than 20 hectares. 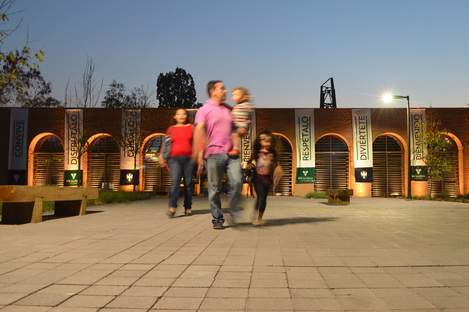 In the run-up to the round-table conference to be held on 19 October 2018 at the Italy Pavilion in the Arsenale of Venice, which, in addition to studio MC A headed by the architect Mario Cucinella, who curated the pavilion will also include key players such as Catalan-based firm Batlle i Roig and Mexican studio Harari Landscape Architecture, we present one of the most recent major projects by the Mexican landscape architects under the direction of Claudia Harari. 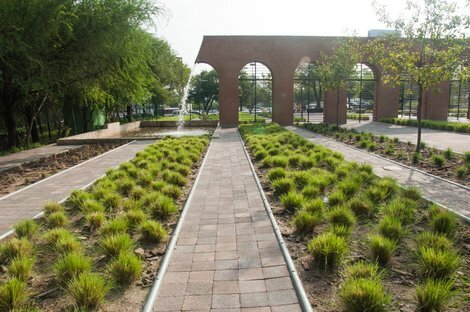 Harari Landscape Architecture is based in San Pedro Garza García, part of the Monterrey metropolitan area, which has a population of more than 4.7 million. Monterrey is the capital and largest city of the north-eastern state of Nuevo León, Mexico and it is the base of many major international corporations. It is also one of the country’s wealthiest cities as well as being the ninth largest. This is the location for LA PASTORA Linear Park and La Pastora Reserve Park in Guadalupe, a project that came about as the environmental pay-off for the construction of the new soccer stadium - L’Estadio BBVA Bancomer - nicknamed “El Gigante de Acero” (Spanish for The Steel Giant). A great deal of effort went into blending the sports stadium into the natural surroundings of the area where the project by Harari Landscape Architecture is located. 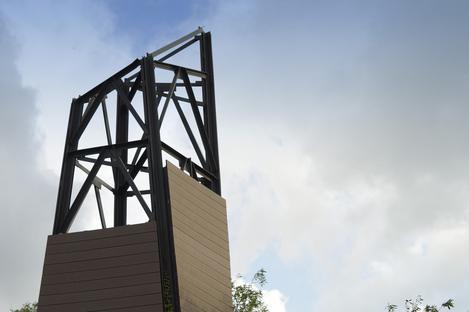 The HLA project focuses on two areas - the park that runs along the banks of La Silla river, and the redevelopment of the La Pastora natural reserve park, one of the densest wooded areas inside the Monterrey metropolitan area. Created in 1982 as the first nature reserve of native plants inside the city, it was a green lung for visitors that also offered plenty of recreational activities as well as direct access to La Silla river. The park was closed in 1992 for administrative reasons but even after being completely abandoned since then, its natural system and vegetation remained almost intact. What HLA did here was to give the park new facilities and infrastructures so the city could once again enjoy it. 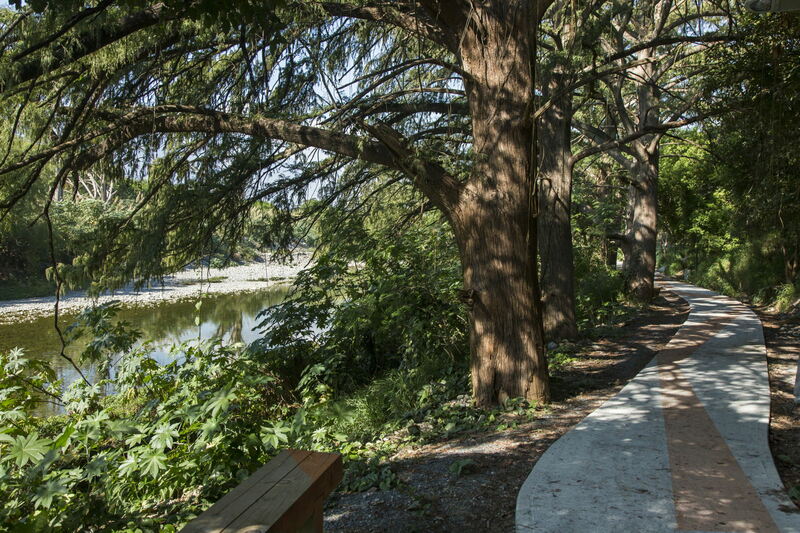 The LA PASTORA Linear Park stems from the regeneration of the La Silla river, an important nature reserve for trees and wildlife inside the city. Unfortunately, the parkland area along the river was severely damaged by hurricanes and terribly run down as a result of neglect, which in turn made it a real problem area with regard to crime and safety. The first step in the project was, therefore, to rehabilitate it by removing debris and accumulated rubbish and painstakingly restoring the original riverbed, as well as the habitat of the centenary trees. 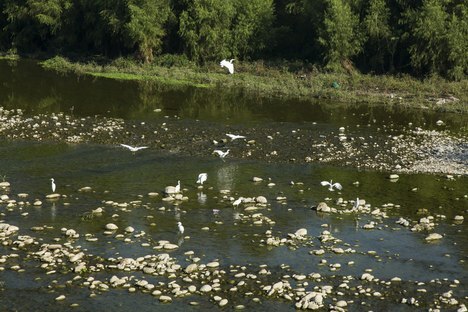 Wastewater drains that discharged their contents into the river were then eliminated. Harari Landscape Architecture regenerated these areas and added a combined pedestrian and bike path, with basic street furniture like benches, rubbish bins, outdoor exercise equipment and lighting. This 13-km long floodable system of pathways and lanes runs along both banks of the river. Police on bikes provide security in the park, which has helped to make it very popular with the community. The joint system of LA PASTORA Linear Park and La Pastora Natural Reserve Park gives the city a real green lung of sustainable mobility but it has also improved the quality of life in the neighbourhood because the level of violence and fear has gone down as people enjoy this natural space and all the possibilities of recreation and movement it offers. A manifesto of the modus operandi of Harari Landscape Architecture, knowing that people are far more likely to look after places they care about. Beauty and harmony add emotional value to land, locations and buildings, which in turn always translates into economic and cultural riches for the community. 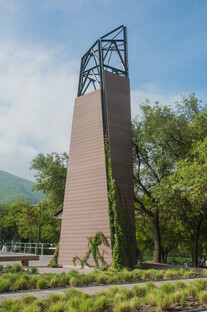 Location: Guadalupe Municipality, Monterrey, NL, MEXICO.